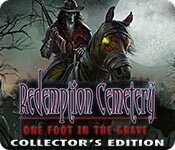 Redemption Cemetery: One Foot in the Grave Collector's Edition is rated 3.4 out of 5 by 27. Rated 5 out of 5 by Alexiell from A successful new RC ! Based on the entire game including the bonus. I looooooove it ! Everything is great. Graphics among the best, music and sound effects well adapted, voices that sit well with the characters. An interesting story that respects the theme of the Redemption Cemetery - unfinished death! This series was able to renew itself over the years and improve while maintaining these strengths: an always interesting bonus, interactive and original soc, beautiful videos, trophies and collections to find. Thanks to this quality developer and happy gaming to all ! ? Rated 5 out of 5 by KarenGr from Amazing game Amazing game!!! I didn't want to end. Rated 5 out of 5 by gamesrgreatfun from A Fun, Long Game I thought this game was fun to play. I especially liked the mini-games. The storyline was far-fetched, of course, but still interesting. I wouldn't mind playing it again in a year or 2. The game took me several days to finish it, playing it several hours everyday. Rated 5 out of 5 by jjteach from Does not dissapoint! I love this series of games and was pleased to see the next installment. I love the option in a game to choose how the story progresses as I feel it is great to make the experience as individual as possible and i like the different range of problems and hidden objects. Once again a triumph. Keep up the good work!!! Rated 5 out of 5 by GlacierMyst from Another Redemption Cemetery Winner. First, I have to admit this is one of my Favourite series. That said, this review is based on the Demo. Great fun, Love the mix of tasks to complete, not just the standard, ho-hum, HOs one after another. While I'm disappointed that the game isn't what I would call "overly challenging", it's still enjoyable. Everyone has their own likes and dislikes...Play the Demo -decide if this is for you. Will definitely be a buy for me when some extra money is available. Rated 5 out of 5 by nariiska from Curveballs at every turn I was excited to see another chapter of this amazing series and was not disappointed . You know from the intro on that you will experience chills and thrills. Playing two characters keeps you interested in the game and the mini games and hops are unique. Bravo !! Rated 5 out of 5 by rainworm from Not just another walk on the graveyard! Redemption from sins or mistakes for those, who have died without having been able to undo their deeds is the general theme in all games of this series. A clear structure with three restless souls to be rescued out of perdition by taking their roles in live and undo the past. Storylines are quite intriguing in all games, but this time even more excitement lays ahead, as we are not alone on our journey. We have a companion. Karen is your best journalist, who brought us to the cemetery with news on paranormal activity there. People are frightened of noises and lights on the graveyard and even hired armed soldiers for their protection. You cannot withstand and both of you start out for the ghostly place. On the cemetery we meet its true ghostly guard, whom we free from his stone casing, in which he resided as a horseman statue. He promises to help, as Karen has sneaked into the graveyard before us and is now caught in a tomb. Trying to free her, we meet our first restless soul – Drake. This installment offers some old and new features: Choices: You may choose your answers or actions. Sometimes they have consequences on the further course of events Your stress level: your stress level is measured in terms of order or chaos – interesting for real life?! A helper: different from those, we came to know. It is a raven, who has to be resurrected as well as the ghostly guard in the horseman statue. It served as his eyes and will do so for us, to see more. More a small aid, unobstrusive Karen and the importance of the right choice. When she sinks into a pit in the tomb and we draw her up, we helped not Karen, but the first trapped soul (Drake). Redemption for him but at the same time, saving of our companion. This two sided task goes on in Drake’s episode and reaches a peek, when we have to choose her life or the one, Drake took in his lifetime. We have to choose carefully, it certainly is of consequence here! The game is full of mini games, most are fun but some more slowing the pace of the game. In terms of challenge, they are more easy. HOS are nothing special, but nicely integrated and you find all the items you need to go on with your tasks. As always we have this ghostly sometimes even oppressing atmosphere, which suits the theme. A highlight is our double task, not only the trapped souls need help but Karen’s and your own life are at stake. Rated 4 out of 5 by skullfun from THIS EDITION OF REDEMPTION CEMETERY REALLY TEST SOME NEW IDEAS, IT'S A SHAME THAT MOST DON'T WORK. Karen, your best journalist came knocking on your door in the middle of the night so you knew that she just got a great scoop. Apparently, her sources reported that strange events are happening at the town’s cemetery. Quickly after you and Karen arrived at the site, a spooky ghost appeared out of nowhere and abducted Karen! Can you help your collegiate and save yourself from this cemetery nightmare? This is the new challenge you face in the latest installment of "Redemption Cemetery". Redemption Cemetery: One Foot in the Grave starts off quite interesting – I actually thought this would be one of the better installments in the series. However, the game’s beginning rush dies down after it turns into just another paranormal show with the overdone “save the spirits” theme. The story also crawls along at an unbearably slow pace, most likely to the “conversations” feature. 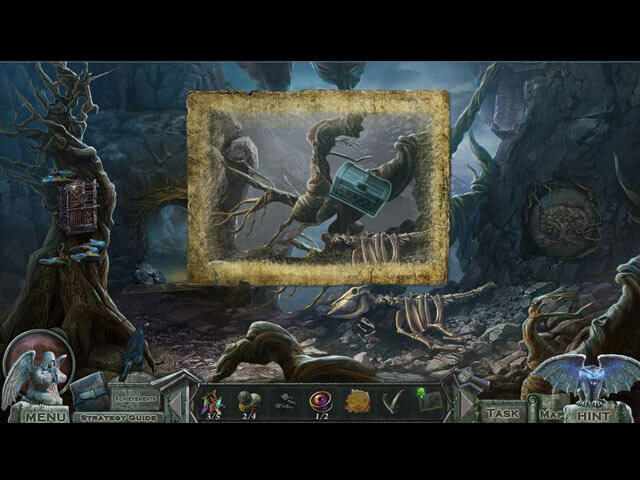 This feature that allows the player to select the best response to the character’s dialogs has been done before by other HOPA games. It works well in the beginning, but Redemption Cemetery: One Foot in the Grave certainly overuses it. Not only does it get tedious after a while, it also limits the storyline from progressing faster. It is refreshing to see AMAX Interactive experimenting with some new ideas and I appreciate the effort, but not all good ideas work in practice. Redemption Cemetery: One Foot in the Grave includes a feature that awards you either Order points or Chaos points according to your moral or immoral actions in the game. This could have been a great feature if it adds some value to the game and not just a little gimmick. Other areas of the gameplay remain fairly straightforward. 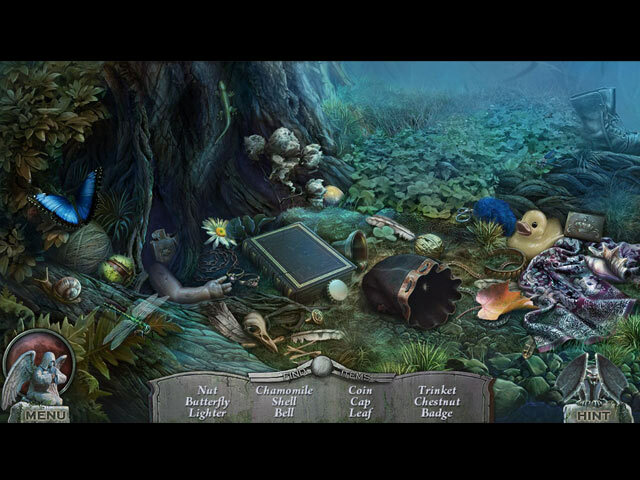 The adventure is alright, the puzzles are mostly easy, and the hidden object scenes are well-crafted, with a few of them being surprisingly creative. If all else fails, at least Redemption Cemetery: One Foot in the Grave gets the sights and sounds right. 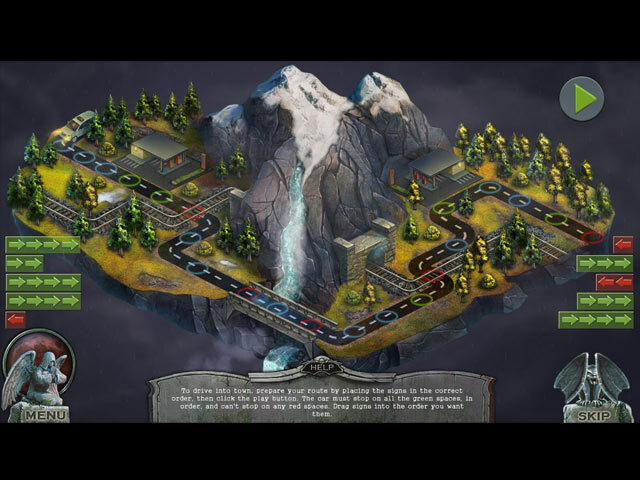 The graphics are appropriately chilling, with the help from awesome special effects and polished artwork. Like any good game soundtracks, the ones in this game effectively enhance the mood and the experience. Casual gamers can complete Redemption Cemetery: One Foot in the Grave in roughly four hours and the bonus chapter in an hour. The Collector’s Edition has all the essentials, minus the collectibles; a strategy guide, wallpapers, concept art, screensavers, soundtracks, videos, re-playable hidden object scenes, re-playable puzzles, and achievements. Cheers!